When Easter comes along, lots of cafes and restaurants get into the theme. From special hot cross buns to trifles, we’re pretty spoilt for choice, especially when our fave spots go above and beyond! Dessert haven Sweetie & Moustache have created the Golden Easter Egg cocktail. It’s so extravagant, it’s pretty much an alcoholic freakshake! 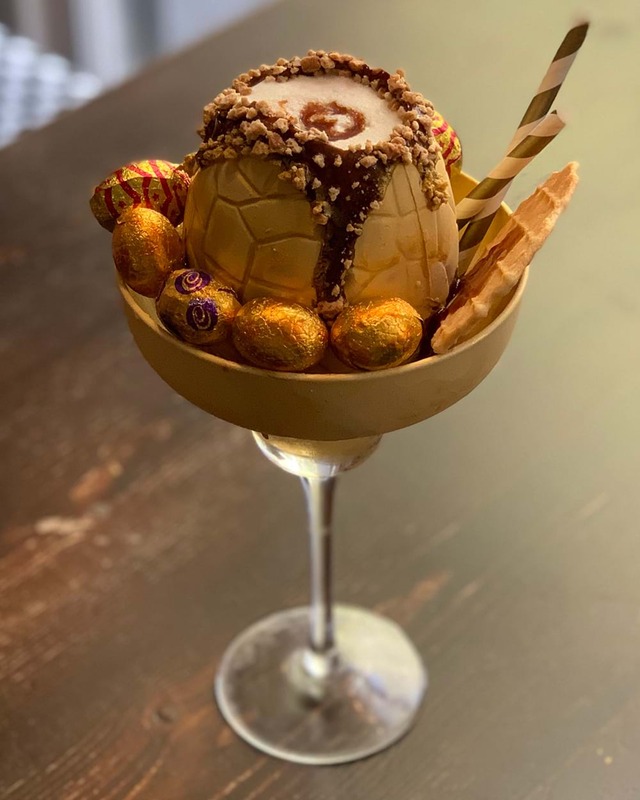 You can expect a Golden Gaytime cocktail mix poured into a shiny Easter egg. There are crumbs dripping down the edges and mini eggs, biscuits and wafers to finish it off. This is something else! Sweetie and Moustache are also whipping up special treats for the season too, including ruby chocolate eggs filled with raspberry and vanilla crepe cake! To check out all their goodies, go here. Thanks to Toby Razario for providing video and images!